First, I thought I had the perfect backing for the quilt — a beautiful shade of pink in 100% cotton. Got it all basted and started the machine quilting. However, it’s a bed sheet, and now I know why quilting on bed sheets is not such a good idea — the threads are so close together, it’s difficult to quilt through. Even with a small needle (10 or 11), it still leaves a big hole in the fabric. I was so unhappy with the results that I unpicked two hours’ worth of free motion quilting and undid the basting. Then I found another length of regular quilting fabric in my stash that was a good match for the colours, but I didn’t have enough. There were two others that I thought would make a good pieced backing using the instructions Mary Johnson wrote for HeartStrings, but I didn’t have enough of those, either. Aaarrrggghhh! 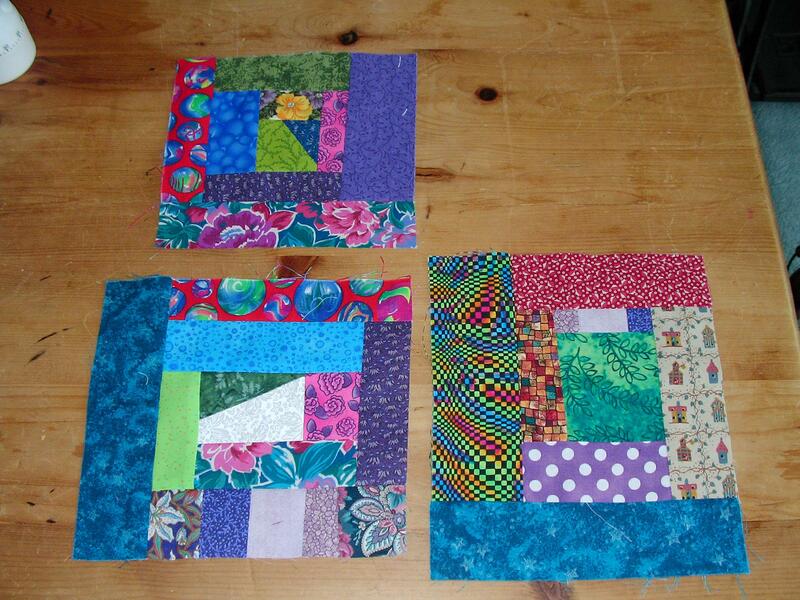 Finally the light dawned on me to cut the quilting fabrics into 10.5 inch squares and piece them together patchwork fashion to make a backing by one of the methods used by Bonnie Hunter of Quiltville. That will give a good variety of prints and use up even more stash. I’ll probably start that tomorrow. Haven’t finished any other projects to count in my totals this week, but I did start working on a UFO for Judy’s February Quiltathon and hope to finish that today. To see how others are doing in their Stashbusting this week, please visit Judy Laquidara’s blog, Patchwork Times.